When a change in the ground elevation occurs through a rebuild, soil will displace and needs new construction walls in place. 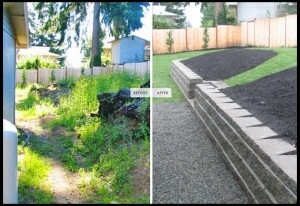 A retaining wall acts to divide a space but more importantly to resist the lateral pressure of soil in a new place. 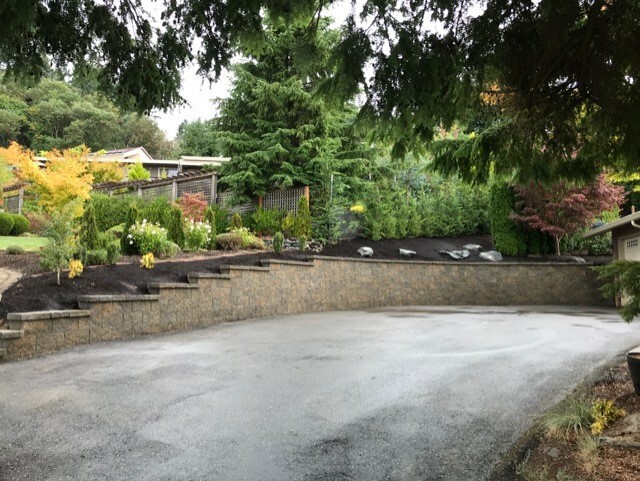 Our landscape team is able to fully construct these fundamentally sound walls to keep your space contained and safe. 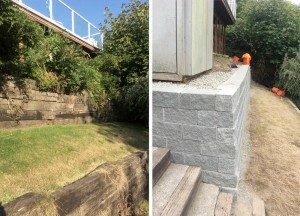 Retaining walls can be built in a variety of different ways, but the key to a good retaining wall is its practicality. We will never sacrifice safety or practicality for the look. Our team will always give you multiple stone and rock options that will allow your retaining wall to blend in and achieve its job.